New Delhi, March 22: Even as the India-Pakistan relations have turned hostile following the Pulwama terror attack, Prime Minister Narendra Modi reportedly extended greetings and wishes to the people of the neighbouring nation on Pakistan National Day 2019. 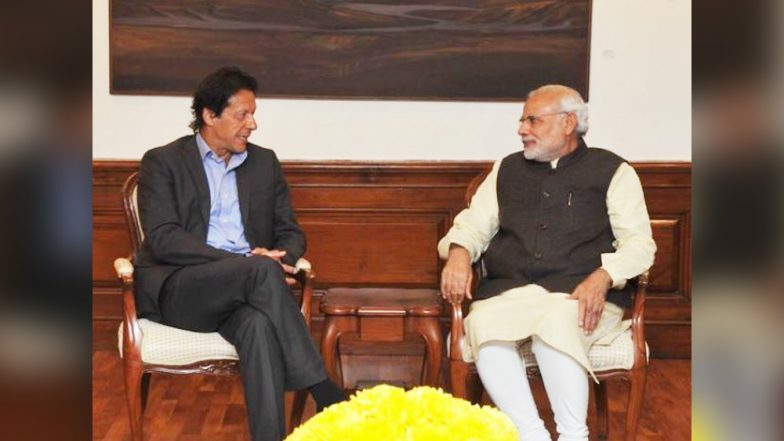 According to the Indian PM's counterpart Imran Khan, he received a message from Modi on the occasion of Pakistan Resolution Day. PM Modi, apart from extending his greetings, told Khan that it is necessitated for all nations in the Sub-continent to unite and address the common challenges before the region. India Won't Send Any Representatives For Pak Event: MEA. "It is time that people of the Sub-continent work together for a democratic, peaceful, progressive and prosperous region, in an atmosphere free of terror and violence," PM Modi said, according to Khan. While PM Modi messaged Khan on the occasion of Pakistan National Day, the Indian government decided to boycott the event commemorating the day at the Pakistan embassy in Delhi. The event was given a skip to protest against the invitation issued to Kashmiri separatist leaders.